Israeli PM Benjamin Netanyahu is pushing contentious draft legislation that emphasizes the State of Israel’s Jewish character above its democratic nature in a move that critics said could undermine the fragile relationship with the country’s Arab minority at a time of heightened tensions. The bill, a proposal for a basic law titled “Israel, the Nation-State of the Jewish People,” passed 14-6 in the cabinet on Sunday, November 23, highlighting political fissures within the governing coalition amid increasing talk of early elections. 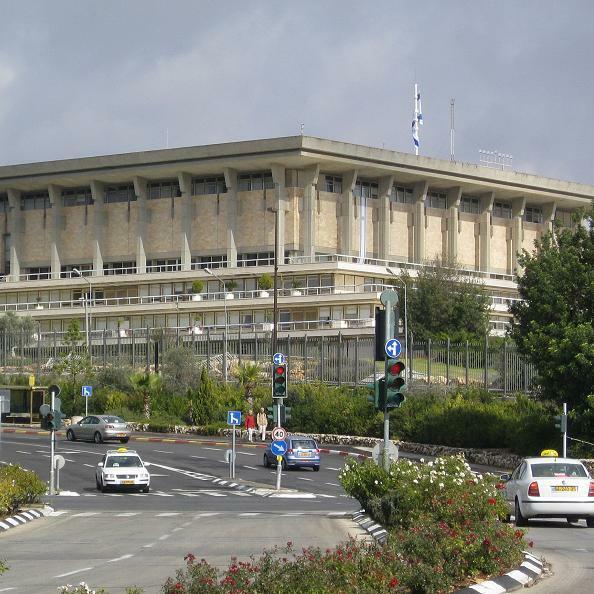 The Knesset still has to approve the bill for it to become law. On Tuesday, December 2 Netanyahu fired ministers Yair Lapid and Tzipi Livni, who represent two major parties in his coalition who oppose the law, and called for the dissolution of the coalition and early elections. According to the proposed law, Israel will be defined as the nation state of the Jewish people, and in order to prevent Israel from becoming a binational state, the proposal says that the right to self-determination in Israel would be unique to the Jewish people. Some portions of this article were based on the New York Times. When the Zionist movement first arose, it put forth an alternative definition of Jewishness, to replace the old, outdated one. A Jew no longer had to be religious or even believe in G-d. All he had to do was support the Zionist project, and he was the best kind of Jew. But we know that, as Rav Saadia Gaon said more than a thousand years ago, the Jewish people is a people only by virtue of its Torah. The Torah defines the Jewish people, and nothing else. As Rabbi S.R. Hirsch writes, the Torah was given outside of the Holy Land to teach us the lesson that it does not depend on the land; the land is secondary to the Torah. And as Rabbi Elchonon Wasserman wrote in "Epoch of the Messiah," the Zionist idea of ethnic Judaism is anti-Torah because the Torah teaches us to be kind to the convert, even if he descends from Haman, but to show no mercy to a wicked Jew, even if he is the son of the greatest rabbi. Now, the Israeli prime minister is trying a new tactic, which is actually the inverse of the old Zionist one. He is putting forth a new definition of Israeli. Merely living in the State of Israel, speaking its language and serving in its army are not enough, he says - one must be a Jew to be a real Israeli. Under his new bill, Israel should be the nation-state of the Jewish people and intrinsically connected with the Jewish people, wherever they live. All Jews in the world have the right to immigrate to this state, while non-Jewish citizens of the state, even if they may have lived there for centuries, have no right to determine the state's character. This scheme is even more insidious than the old one, because it might seem positive to some religious Jews. It accords primacy to the Jewish religion and says that the state should belong to the Jewish people. Jews must be extremely wary, because this is yet another attempt to drag Jews and Judaism into the Israeli-Arab conflict. Netanyahu and his allies are using Judaism to ensure that their state remains in existence as a Zionist state, and at the same time they are making sure that Jews worldwide bear the responsibility for everything they do. The Jewish people and the State of Israel must be kept separate, divided by a double barrier. Being Israeli or Zionist does not make one Jewish, nor should being Jewish make one Israeli or Zionist. The two are completely independent. The Israeli-Arab conflict is political, not religious. Jews lived in the Holy Land for centuries and kept their traditions without a Jewish state. Those Jews were on the best of terms with the local Arabs, despite the differences of religion. The same was true of Jews living in all the Arab countries. Not only is the Israeli state not part of Judaism; Judaism actually forbids Jews to have their own state. Thus it is ludicrous to say that "Israel is the homeland of the Jewish people in which the Jewish people fulfill their ambition to self-determination according to their cultural and historical legacy." The Jewish people has no such ambition. Let us unite as Jews, both in the Holy Land and outside of it, and show our total, uncompromising opposition to the nation-state bill in any form.